Where is God when you’re in the dark? Is God caught off guard when struggles happen? Why does it feel like you’re so alone? Does He hear your cry for help? Does He even care? 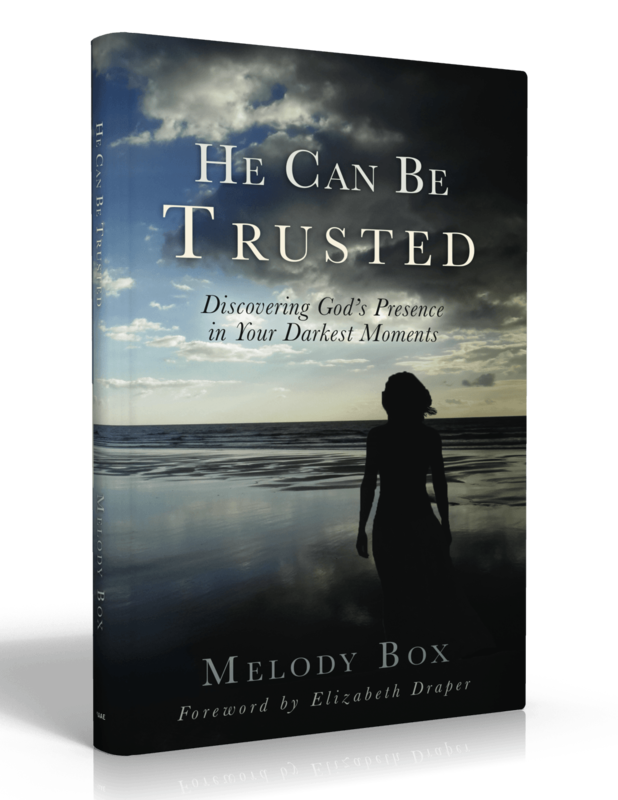 In He Can Be Trusted, author, Melody Box tells her story of fighting a rare Stage 4 cancer. Through this journey she discovered that God is not caught off guard, that He does have a plan, and that He is right beside you through your darkest moments. *It’s ok to have questions about God’s ways and plans. *How to incorporate a daily devotion time into your life. *You are not alone in your dark times. *How journaling and scripture reading will help you recognize the voice of God. *God uses all things in your life to create the person He wants you to be. Move from fear to faith—today! Melody Box loves to make people laugh. 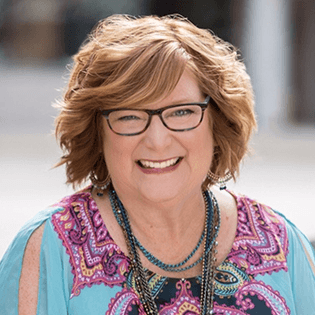 Through her writing, speaking, and quirky characters, she encourages audiences to find humor and purpose in the unexpected detours in life. She had an unexpected detour in 2014 when she was diagnosed with a rare stage 4 cancer. Despite a frightening prognosis, she determined to trust God no matter what the outcome. Miraculously cancer free today, she uses her stories to inspire others that He can be trusted even in their darkest moments. She and her husband, Phil, live in Fort Worth, Texas and are blessed with 3 married children and 2 adorable grandchildren.